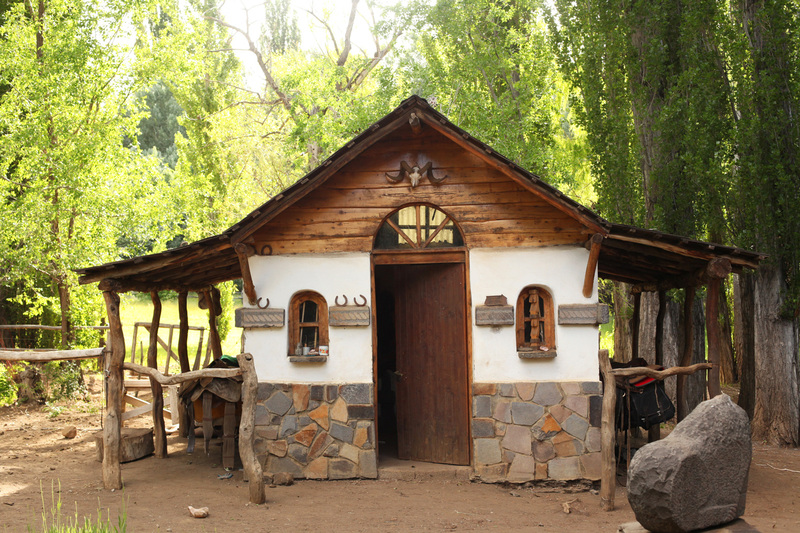 In December last year we embarked on a epic guided globetrotting journey through Patagonia in Chile and Argentina. This post follows on from the Chilean instalment. 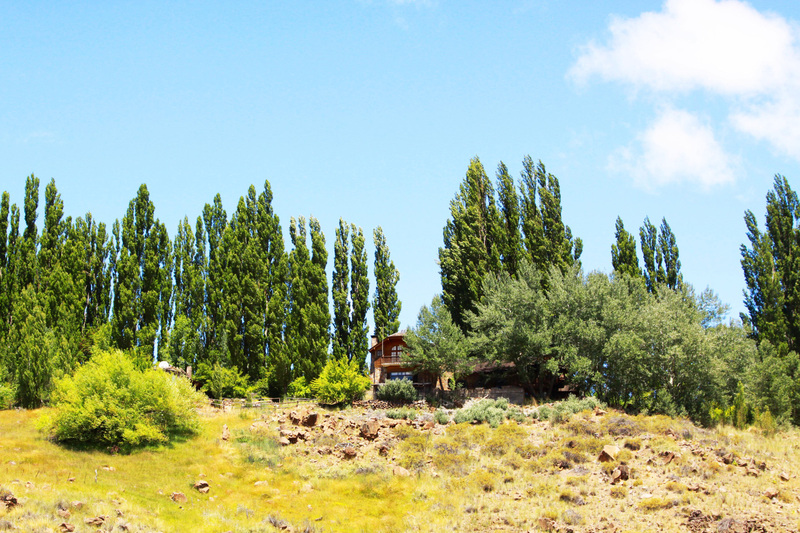 We spent ten blissful days traipsing around this estancia hidden in the sleeves of Patagonia under a big sky canopy. Our days consisted of roaming mountain tracks from the back of a horse, grassy meadowed picnics pulled from saddle bags, slurping crisp mountain water from translucent rivers and plucking cherries to eat from the back of a horse. A blessed time that Buster and I spent with two very special globetrotting guests. To give you a brief history I spent a couple of months at this estancia years ago when I needed to escape from my world at home. I was searching for a place where I could be a stranger. A chance to take two steps back from my life so I could find the right direction forward. 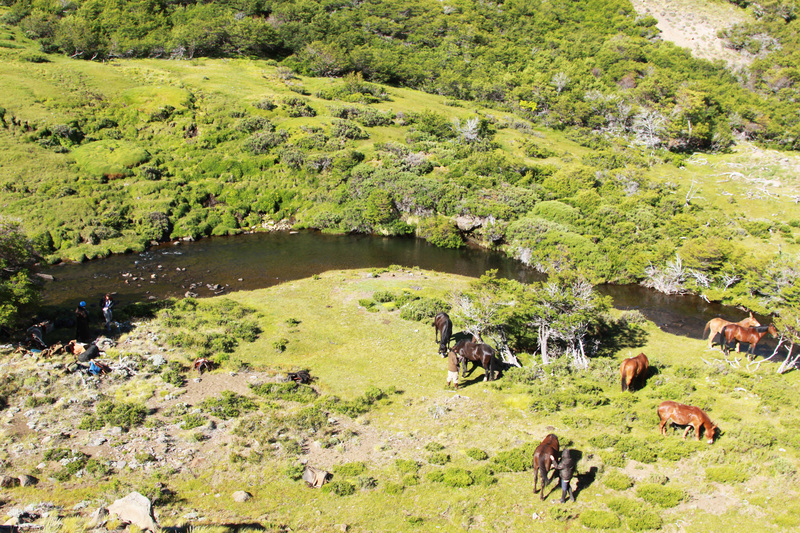 This vast Argentinean estancia was the perfect place to be anonymous, lost in the Patagonian landscape with my camera, pen, notebook and a chestnut horse called Picada. I have vivid memories of sleeping out under a night sky painted in stars where the day’s work is still beneath my finger nails, saddle blankets as my bedding and wishing on shooting starts that blast across the night sky. 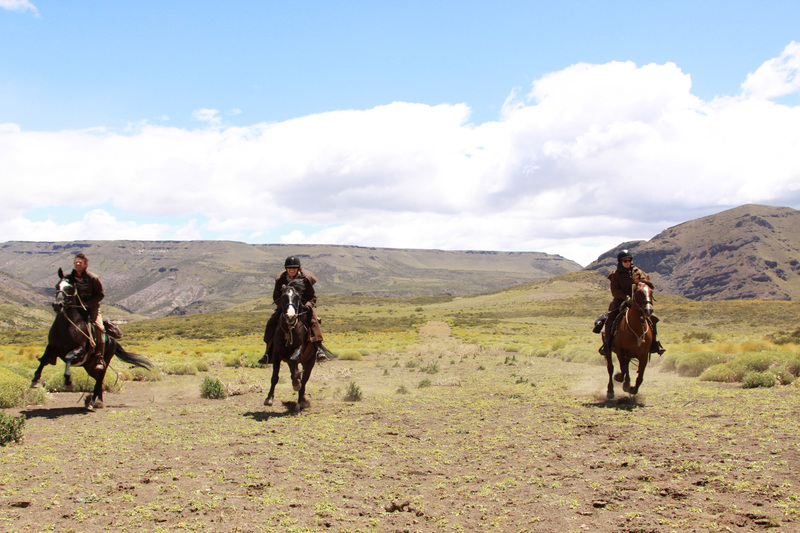 A simpler life where the work is hard, honest and involved learning the ways of the horse by the gauchos. Hours upon hours spent in the saddle amongst the idleness of nature. Sweet memories of standing on my horse’s rump to grasp hard-to-reach apples. It was strange to return some five years later with my husband and 7-month-old daughter, my beautiful mother and two globetrotting guests. 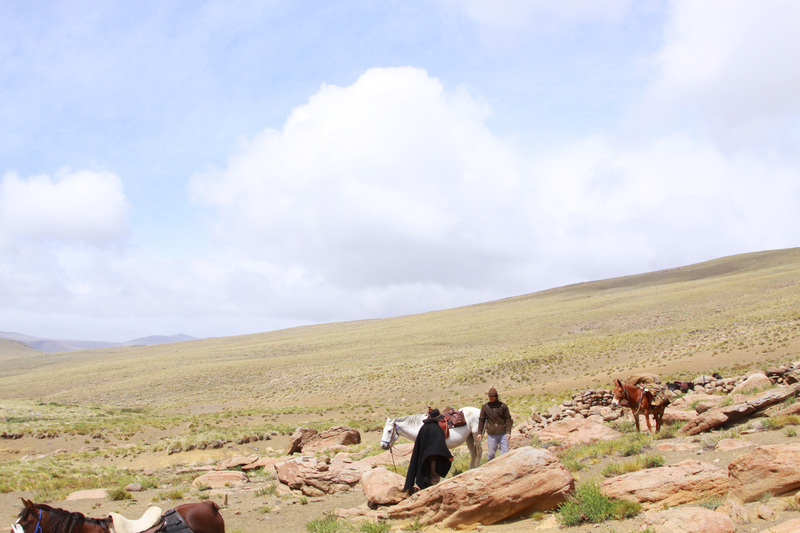 We arrived late in the afternoon to the outpost of the estancia to begin our three hour pack-horse trip into the estancia. We were anxious to get going even though the sun doesn’t set until 9pm we were all yearning for hot showers and a cosy bed. 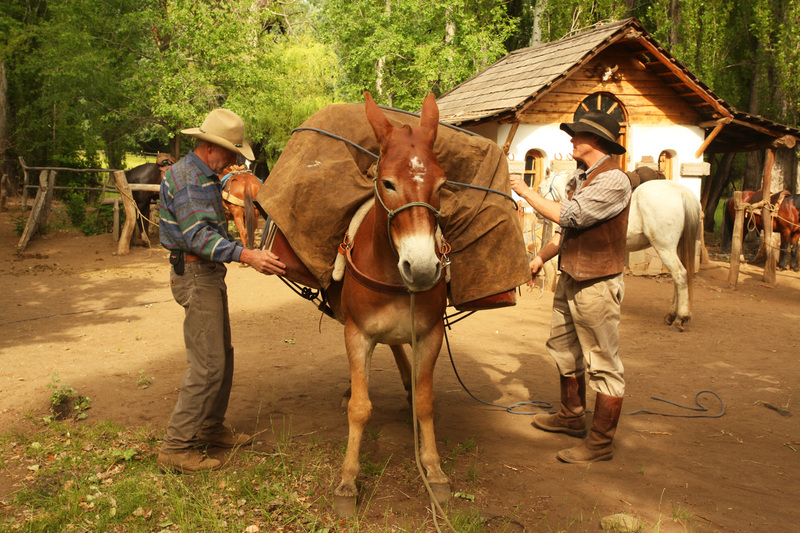 Two mules were cleverly packed by our gaucho Danny. Horses were allocated. I was given a lovely flea-bitten grey mare called Latisha who had the important job of transferring myself and Finn (safely cocooned in a baby carrier on my chest) to our destination. With the pram being the last thing to be strapped onto the mule (pictured above) we set off as the light was beginning to fade. Within minutes of leaving and thanks to Latisha’s soothing gait, Finn fell into a deep slumber and didn’t wake up until we reached the homestead three hours later. Bless her cotton socks. For me, it was a magical homecoming ride serenaded by familiar mountain ranges bathed in the golden light of sunset. The last hour of the ride, we rode in darkness with a fingernail moon perched low in the sky. 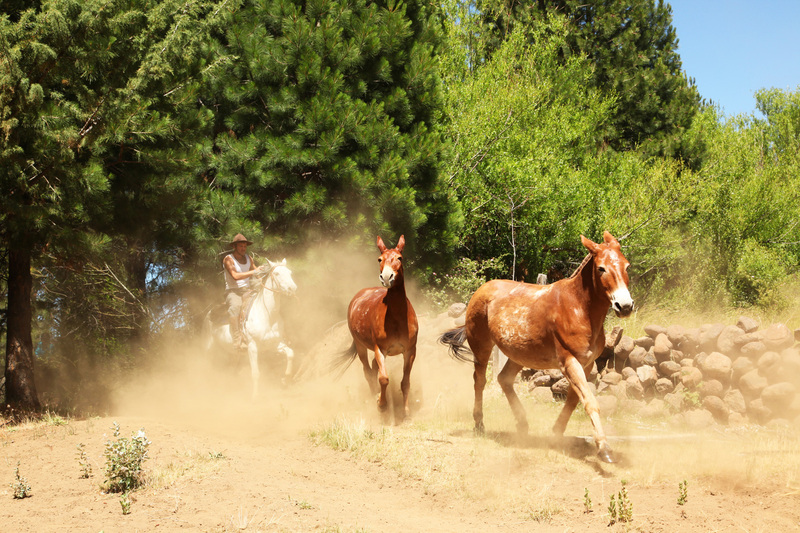 We trusted our horses who picked their way carefully down the rocky track, waded across the river and then climbed the track up to the homestead that perched like a castle atop the mountain. We sat down for dinner at 11.30pm, mute with exhaustion. 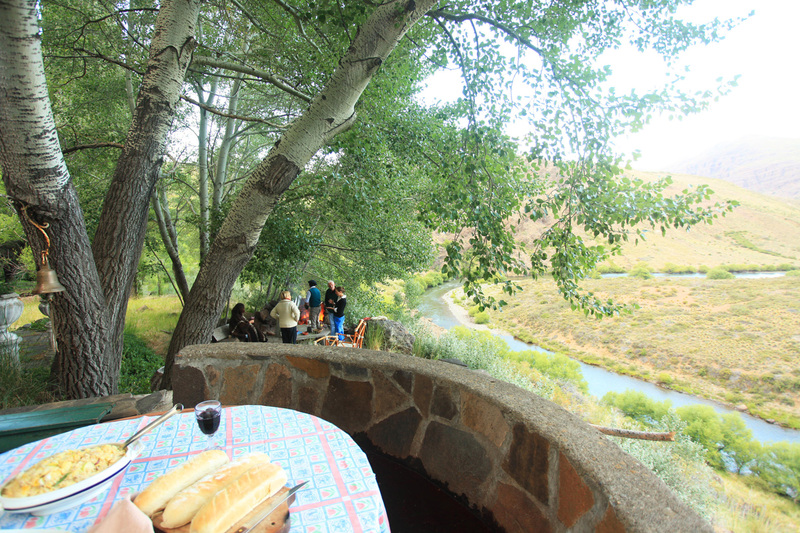 The next day the beauty of our surroundings was revealed to my guests, Bernadette and Elaine. 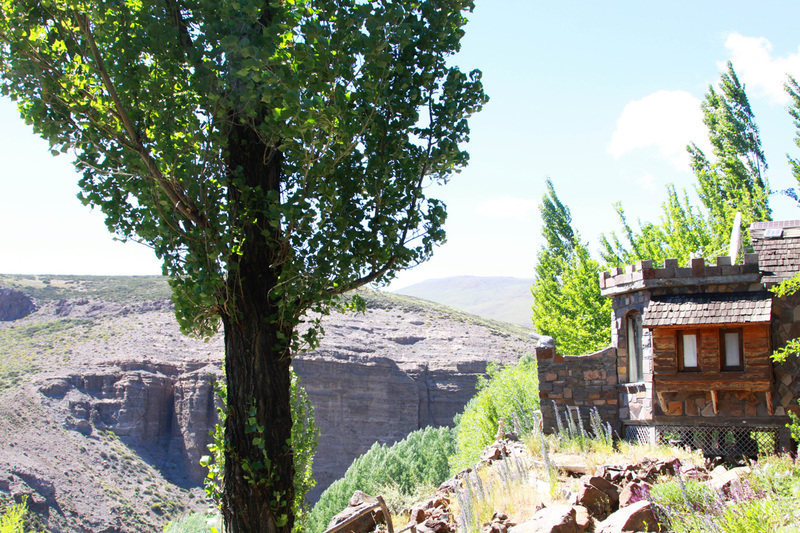 The estancia overlooks a trout-filled river that tumbles and flows between a narrow canyon, a dramatic cliff face that attracts nesting condors, bouquets of lupins sprinkle the gardens, poplar trees point like arrows to the sky and mountains collide with each other on the horizon. The sky is my favourite part of this Patagonian landscape where you feel like you’re trapped in a snow dome. Spaceship-shaped clouds cruise across the atmosphere. The first morning I took Elaine, Bernadette, Mum, Steve and Finn for a tour on foot around the homestead. 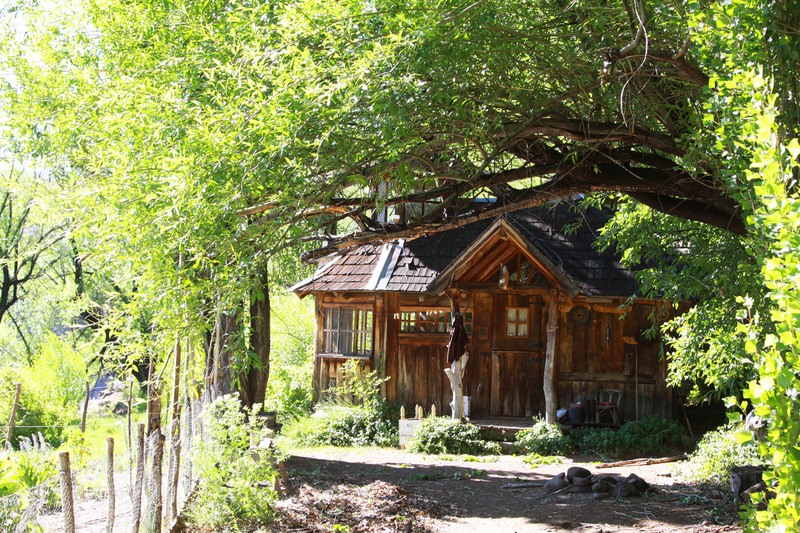 There are so many buildings tucked away on mountain ridges or hidden in a grove of trees. It’s crazy to think that each and every spoon, chair, mirror, painting has arrived by pack-horse over the hills and across the river. 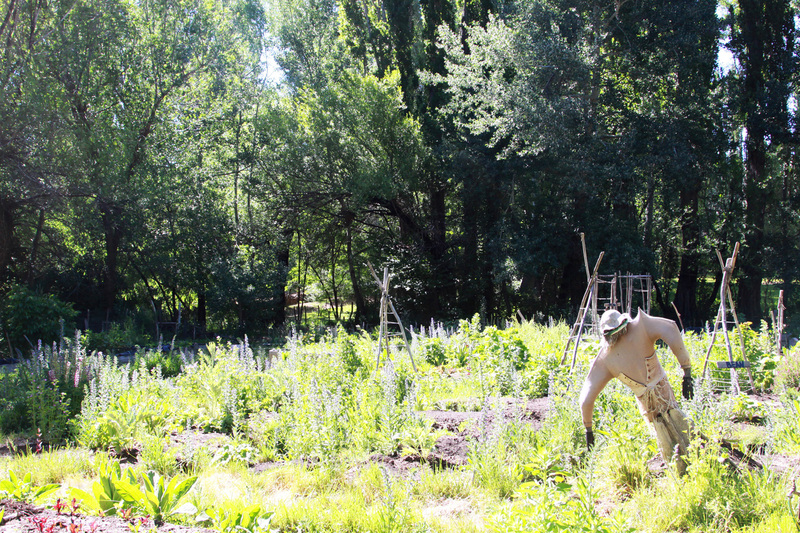 There is a large rectangular garden that is at the epicentre of this estancia.While we were there volunteers from America and Canada tended to the garden’s every need – organically and sustainably. It was their job to make sure we had fresh salad and vegetables on the table at every meal time. And they had their work cut out for them battling with the soil, insects and weather. With pleasant, sunshine filled days, I loved strolling through the gardens with Finn in her pram, showing her the busy bees pollinating the blooms. Hand-painted signs identified herbs and vegetables and a bedraggled scarecrow who had lost his scare guarded the garden beds. 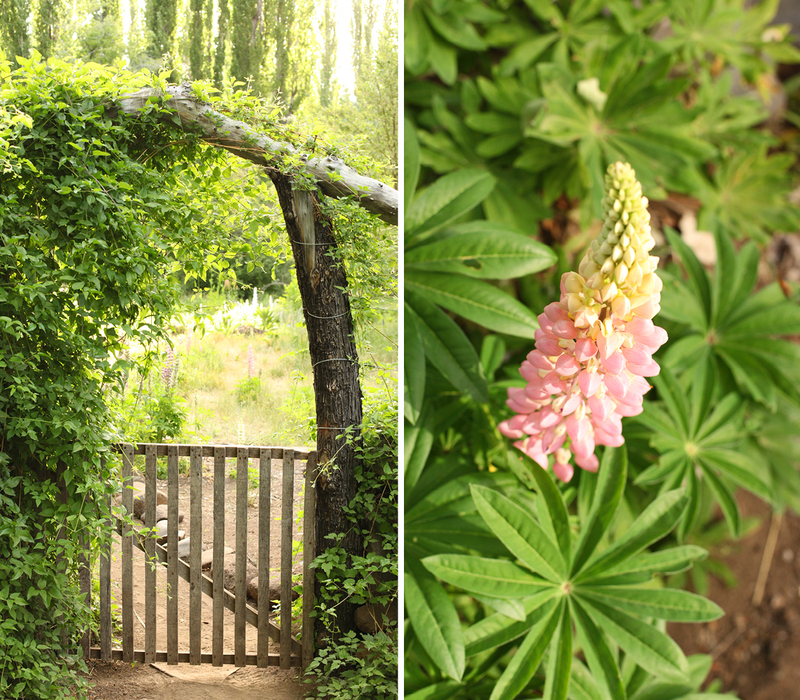 The gardening girls were lovely and enthusiastic about their kitchen garden situated in the middle of nowhere. They were bronzed and rosy-cheeked from spending hours toiling the soil. T.A was our host and guided us over the ten days. He grew up on Ranquilco alongside his sister Sky under the gentle guidance of his father, Ashley. The estancia opens in mid-November. When the warmth of summer hits and guests and volunteers gravitate from all over the world recommended from whisperings of friends or Facebook murmurings. Everyone has their own agenda as to why they arrive whether its for a yearning of crisp air, outdoor living or escaping from the pressure of an erratic life. As I know only too well its a great place to write, press pause, heal, roam and wander from the back of a horse. 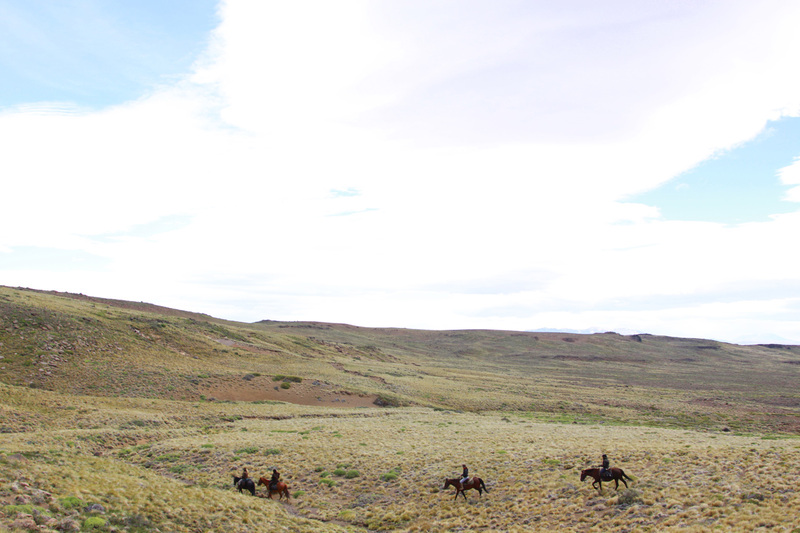 The next three days we slipped into the estancia’s gentle rhythm. Each morning Bernadette and Elaine helped muster the herd of horses and mules that graze in the ‘mundo’ paddock overnight. 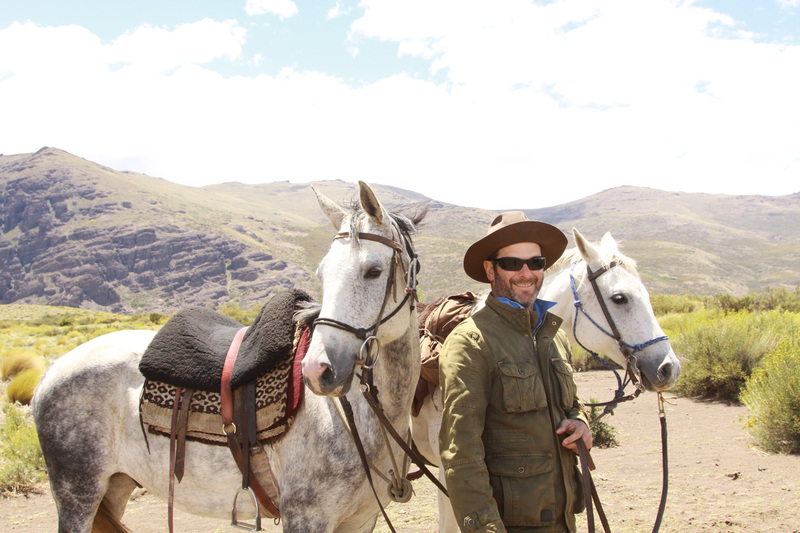 Steve and I waited with cameras poised to take pics of our smiling guests mustering in the horses. 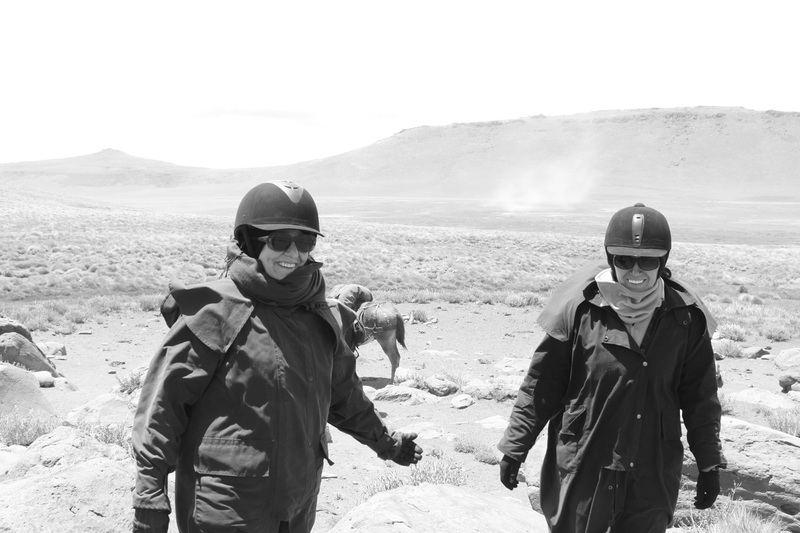 We were so very lucky to have my mother on hand to entertain Finn while we rode alongside Elaine and Bernadette recording their adventures with our cameras. 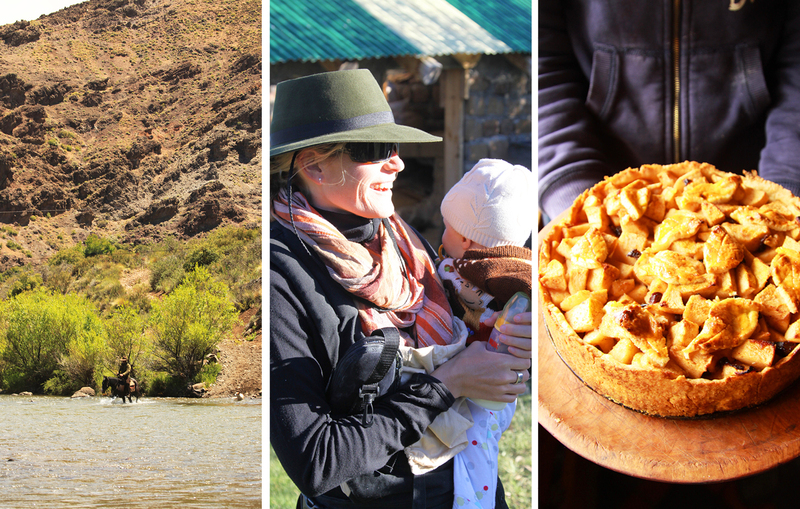 T.A took us on a day ride across the estancia where we crossed the river with its marble-coloured stone bottom, picked bags of wild cherries that were then deposited to our lovely cook, Elaina, who made cherry pie for deserts. 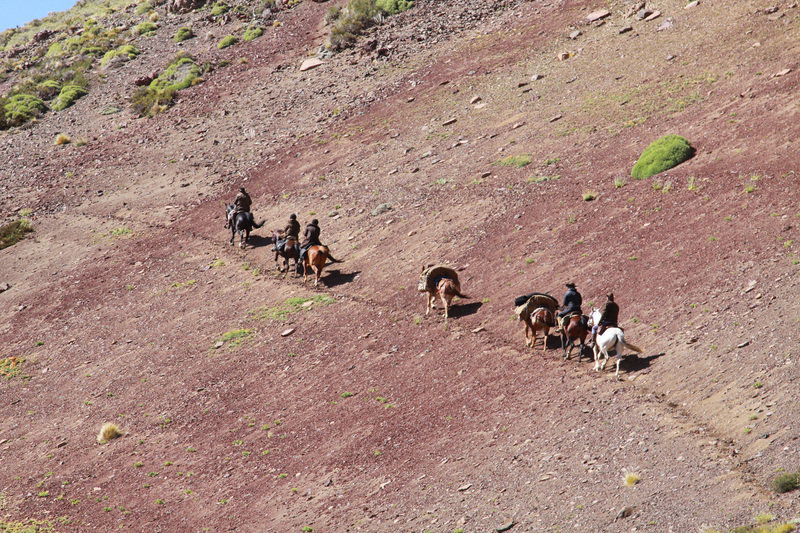 On day four Steven, Elaine and Bernadette headed up into the Andes mountains for a three night pack-horse trip with T.A and navigated this dramatic, raw and unexplored region. The idea was to sleep out under the stars beside a majestic freshwater lake that sits cocooned on a plateau, cook on a nightly camp fire and explore the mountainous landscape. It’s one of the best parts of the itinerary and even though they were anxious I knew they would return feeling as if they were modern day explorers. Mum, Finn and I stayed back waiting for their return. We spent time in the kitchen and drank tea, talked to Danish cook Elaina and giggled with Finn. On the second day in the late afternoon the intrepid explorers returned home their faces masked in red dirt from their wild-weathered adventure. The weather had turned foul with incredibly powerful winds. After spending their first night bunkered down beside a mountain river they made the decision after lunch to head home due to the onset of rain and possibly snow. 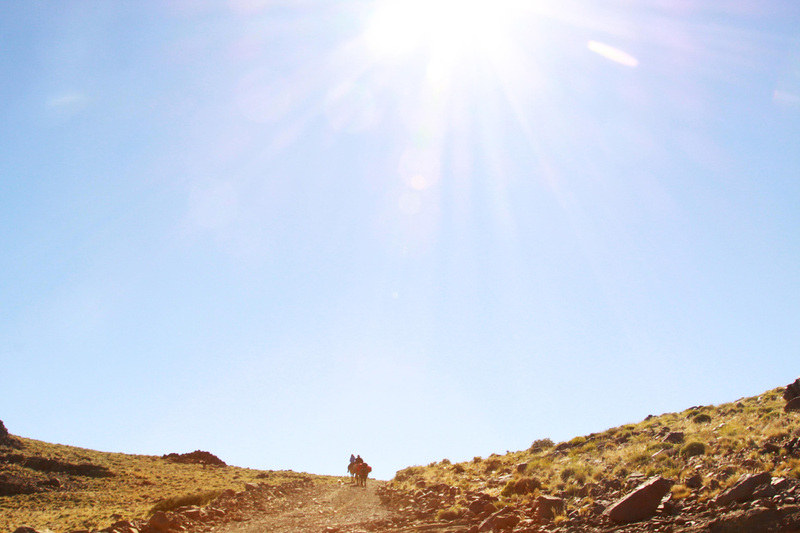 The high country is incredibly unforgiving and unpredictable. 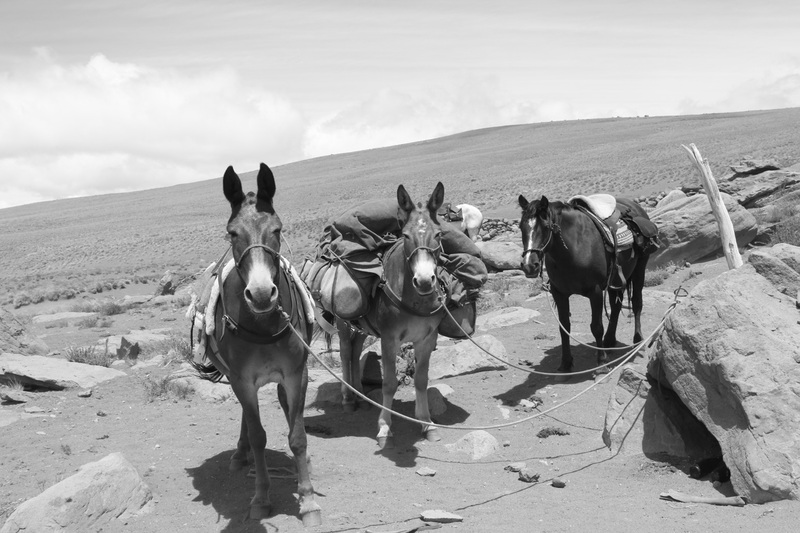 The hard working mules that never put a foot wrong ferrying the essentials up into the cordillera. My lovely, good humoured, adventorous G.T guests, Elaine and Bernadette, still cracking a smile even though they were freezing! Check out the wind gusts in the background. The camp site for their first night sleeping out before the weather came in. Strangely it looks quite summery and pleasant here – not the case. 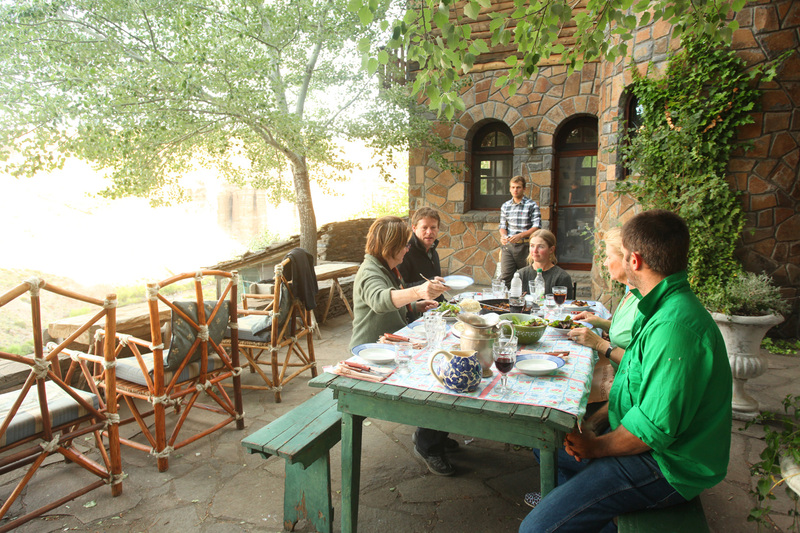 Two of the nights we were treated to an outside asado washed down with jugs of vino tinto. Argentineans do this so well, the goat was grilled on a open fire thanks to our strapping gaucho, Danny. This was the vista from the Casa Grande, no civilisation in view, just the beauty of nature. 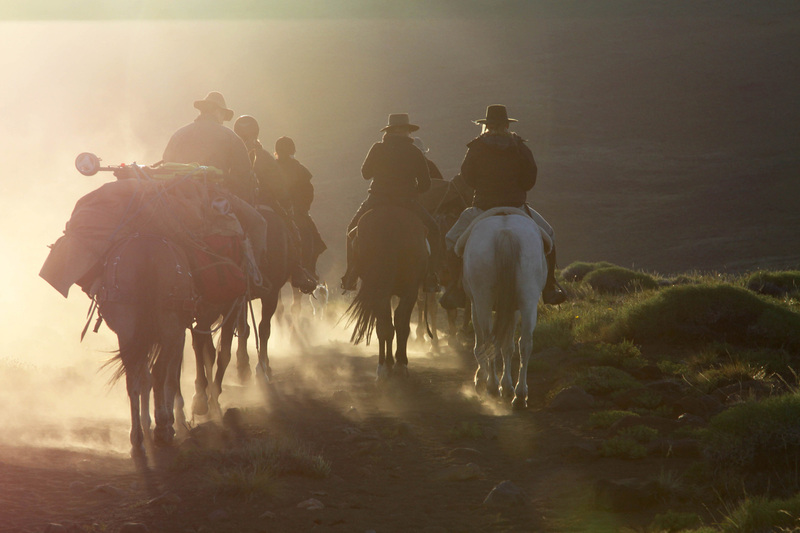 Every morning we would meet here at the tack shed to welcome our horses and start the new day’s adventure. My clients loved speed and Steven and I loved recording them tearing up the pampa. Check out the smiles on their faces. From left to right: Steven crossing the river that runs like a moat around the Casa Grande, me with our poppet just about to ride into the estancia; fresh, made from scratch apple pie.